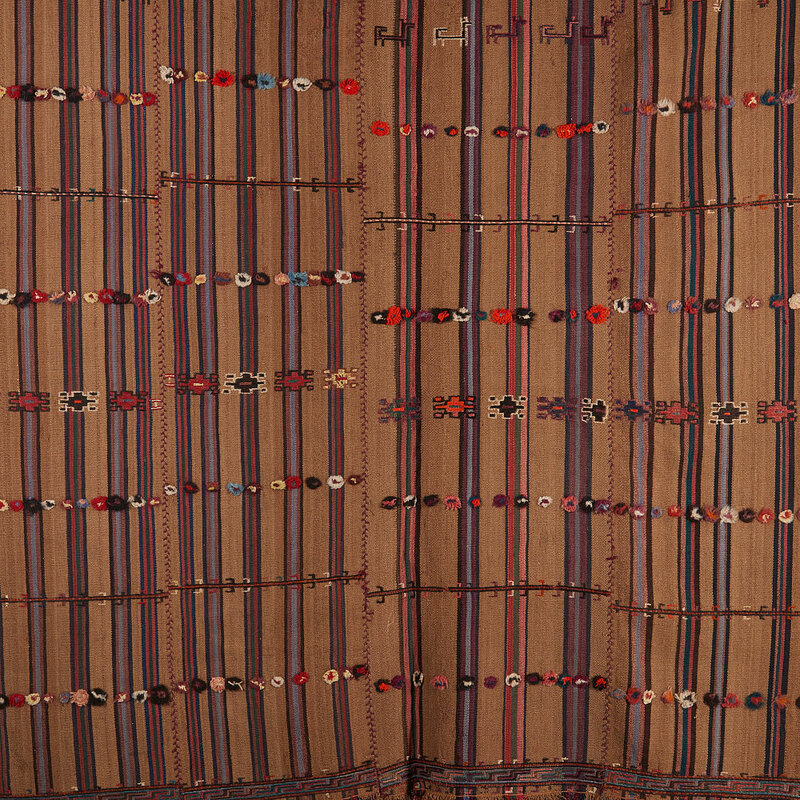 Cicims are flat weaves produced in Central Asia and also in Anatolia Turkey. The idea is to embroider a kilim, a textile that was already created in the loom and were the design is not necessarily incorporated ( it may have stripes of colors, but it will not have flowers, or geometric designs. I really appreciate cicims, due to their natural rustic quality perfect for a relaxed ambience. 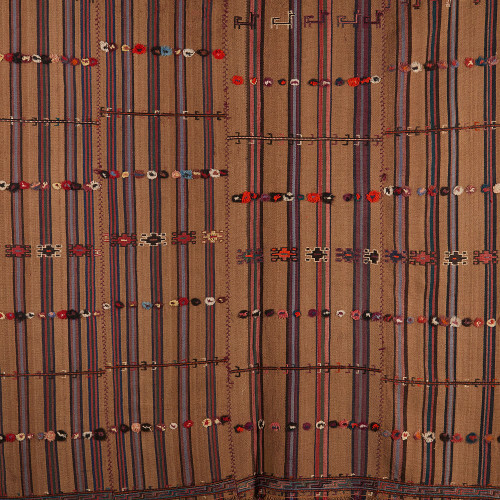 Cicim in Pannels: This Cicim is a very interesting piece, it consist on four panels in this dark camel color with vertical stripes in red, blue and other colors.Horizontally it displays an array of flowers and tiny figures of animals made with bright shades of orange and red and subtle tones of blue and, not in perfect lines but in random displays in each panel.What I love about it, is the simplicity of the design and the striking outcome that those little flowers and animal shapes create breaking the verticality of the piece. My role in the whole enterprise is to be the bridge between the experience of creating and you, the buyer in search of originality and charm.